Peru's powerful opposition leader Keiko Fujimori was taken into custody on Wednesday after a court ordered she be held in preventive detention for three years pending the outcome of a corruption probe. The 43-year-old daughter of disgraced and jailed former president Alberto Fujimori is accused of accepting $1.2 million in illicit party funding from Brazilian construction giant Odebrecht. 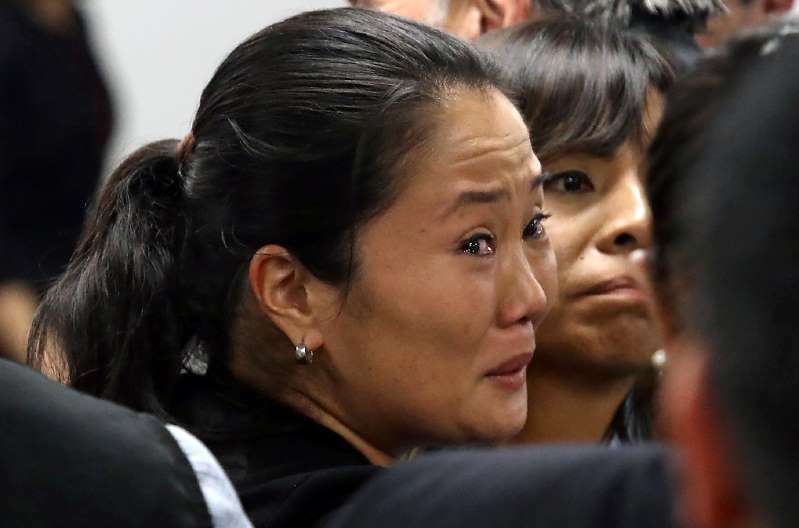 Concepcion Carhuanco described Fujimori, who hugged her tearful husband in court before she was led away by police officers, as a "high flight risk" and said "the only necessary measure in her case is undoubtedly preventive detention." Public prosecutor Jose Domingo Perez had requested she be detained during the ongoing investigation into alleged illegal funding from Odebrecht towards Fujimori's 2011 presidential election campaign. The judge took eight hours to reach his verdict which almost certainly scuppers Fujimori's hopes of running for the presidency in 2021. Fujimori has twice before run for the presidency by lost out in a run-off both in 2011 and 2016, despite the Popular Force party she founded in 2001 winning the most votes in both those elections. Keiko Fujimori has accused the judge and prosecutor of conspiring against her, claiming "they are trying to get me out of politics, bury me."